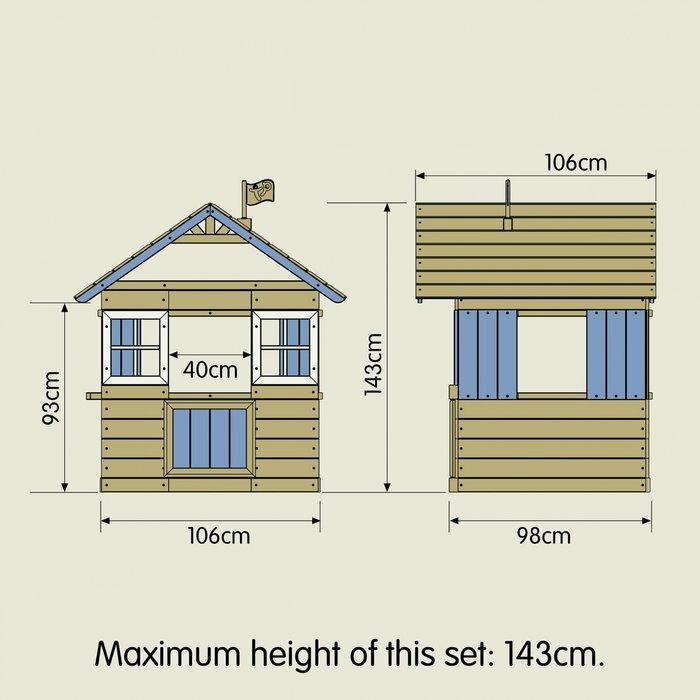 This delightful Scandinavian style playhouse will give children hours of imaginative play. Made from FSC certified pine. 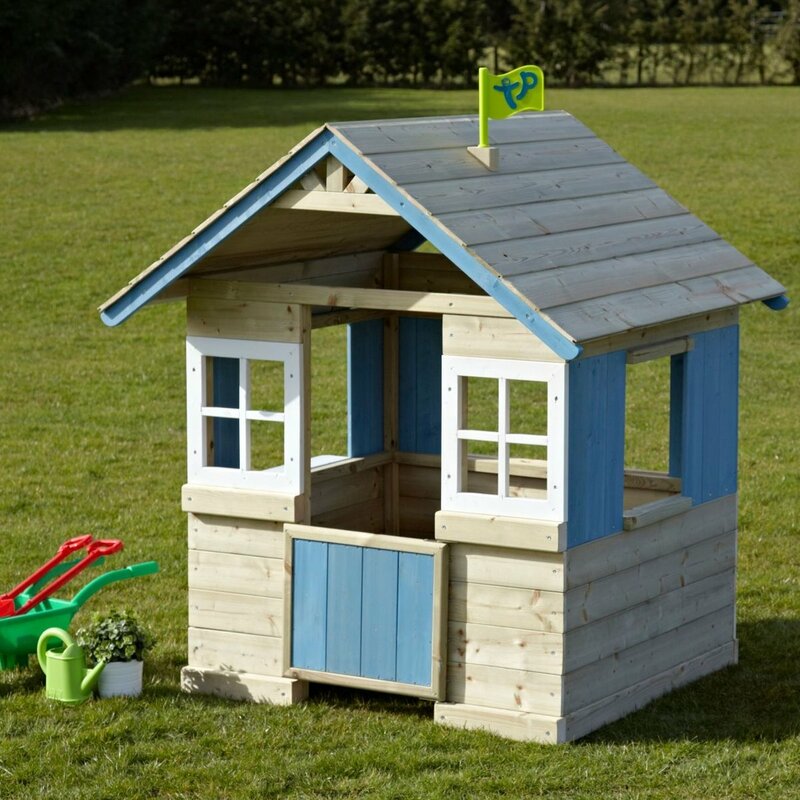 Features hand painted detail on its windows, door and roof for added charm. Half height stable door, perfect for chit-chat at the front door. Play shelf for putting food and drink on. Flat packed. Pressure treated wood so you dont need to stain it year after year. 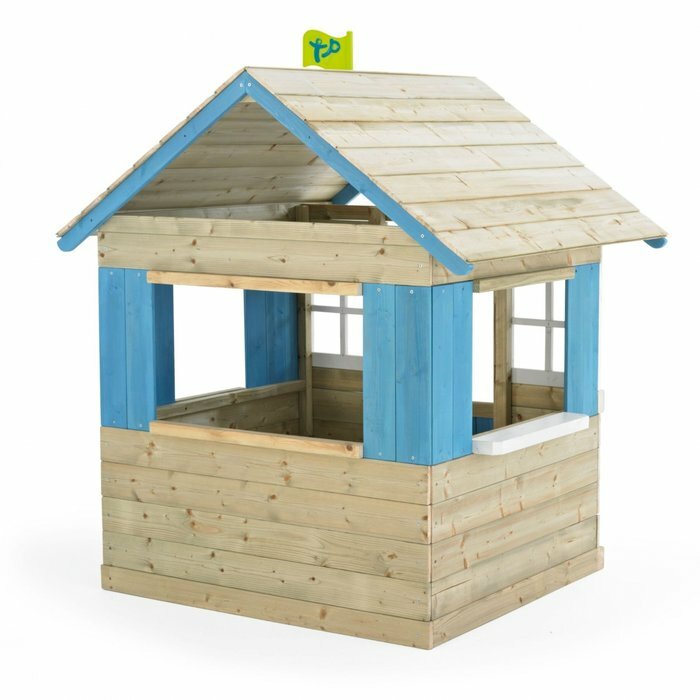 Write a review about "TP Bramble Cottage Wooden Playhouse"
We'd love to hear your opinion! Write a review on “TP Bramble Cottage Wooden Playhouse” today.